Vacation shouldn't have to mean an ordinary lodging experience. Vacation should be exactly the opposite of that; a break from the ordinary and a chance to experience the extraordinary. At Snowmass Vacations, our vacation homes are sure to exceed your every expectation. 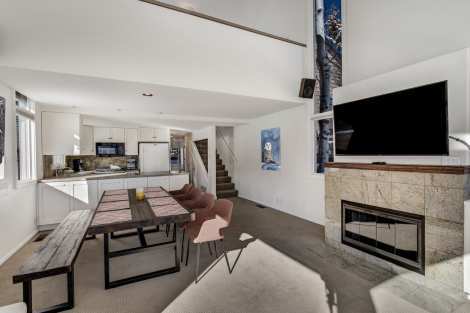 Boasting a wide array of Snowmass homes for rent, guests are ensured an unparalled selection and are assured the perfect fit for their getaway. 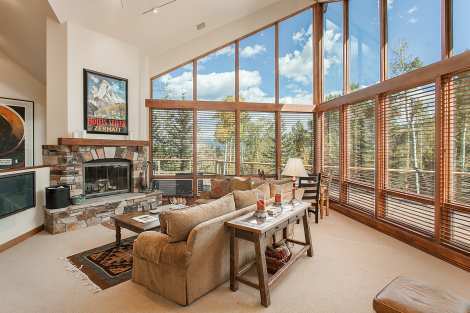 Whether you're searching for an intimate mountain villa near the festive ambiance of Snowmass Village, or hoping for a luxurious slope-side chalet or estate, our collection of vacation homes in Snowmass are filled with a wide array of options and locations. Looking for luxury? Our luxury rentals collection boasts options ranging upwards of seven bedrooms with room to sleep up to sixteen guests. More intimate mountain retreats are available and are the perfect fit for a more intimate mountain vacation stay at Snowmass Resort. Whatever the size of your group, we are assured to offer a superb choice to complete your Snowmass vacation experience. Travelers often desire the advantages of lodging in a private vacation home, but still want the feel of having the service of a traditional hotel stay. At Snowmass Vacations, our team is designed to address your every vacation need. From assisting you to plan your outdoor adventures to finding the perfect private chef, our local staff stands ready to help you create the ultimate Rocky Mountain adventure, and to guide you in choosing from our Snowmass home rentals to find a superlative lodging fit. Truly, the perfect vacation rental for all seasons! This upscale town home is located right on the golf course and is surrounded by panoramic mountain views. The contemporary style kitchen boasts granite counter tops and is adjacent to a spacious dining area with gas fire place perfect for relaxing at the end of each day. Three bedrooms, three bathrooms plus a loft that are nicely placed throughout three levels allowing for privacy. 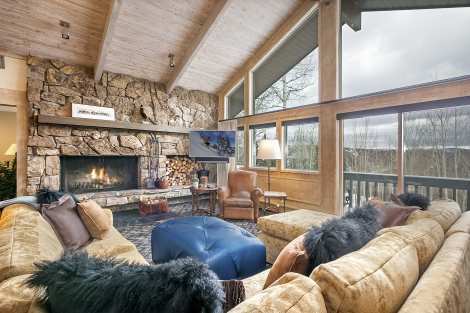 Up to eight guests can be accommodated in this flawless mountain haven. The Village shuttle is steps away allowing for easy access to shopping, activities, skiing and dining. A common area pool is available in the summer months and is the perfect spot to soak in some sun, read a book, and relax. Golf in the summer, ski in the winter – you truly can have it all in Snowmass. Luxe accommodations paired with five-star style amenities create a sophisticated ambiance in this one-of-a-kind mountain chalet. Stunning views no matter where you look including a wall of windows in the large gourmet kitchen. The open floor plan makes this an elegant home to entertain family and friends. A formal dining room adjacent to the kitchen has room to seat ten guests. 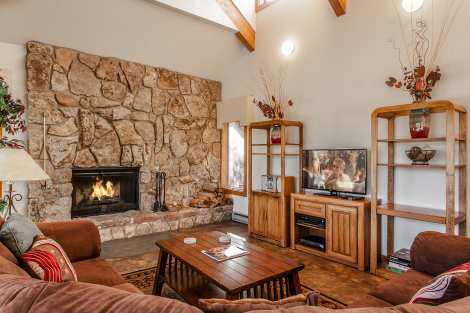 The main living area boasts a beautiful custom fireplace and plenty of room to spread out and relax. Step out on to the expansive deck area and take in the breathtaking vistas or slip in to the hot tub for an evening of relaxation. Enjoy ski-out access from the back of the home, perfect for the intermediate skier. Beginners can walk downhill approximately 50 yards to access the slopes. 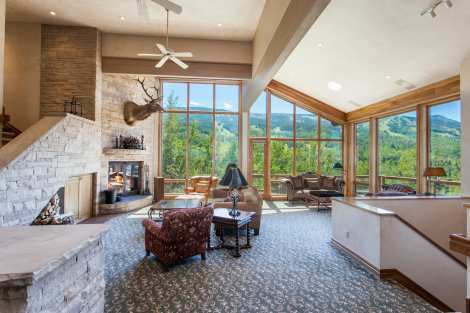 Baby Doe is a remarkable mountain estate loaded with custom finishes. 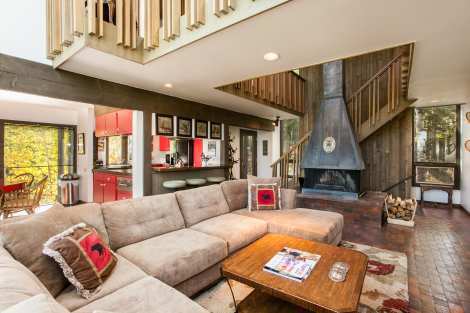 No expense was spared creating this Snowmass mountain escape. A custom interior combines with stunning panoramic mountain views to make this the perfect home to entertain family and friends. Features include five bedrooms with three and a half baths, a unique gourmet kitchen with room for eight to dine in the dining nook, high-end appliances, and an open floor plan. The family room offers a large sectional sofa perfect for nights spent in, magnificent custom fireplace & floor to ceiling windows. 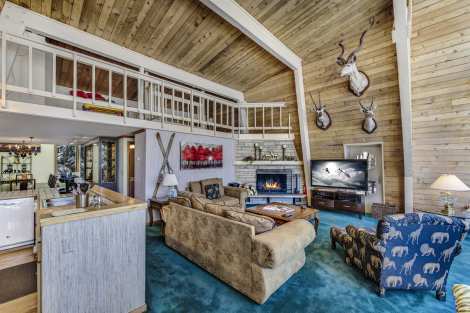 Additional features include a large deck boasting mountain views for miles, built in hot tub for relaxing après mountain adventures, BBQ grill, and a recreation room with billiard table. A bunk room is perfect for the kids in the group, while sophisticated bedroom suites are the perfect retreat at the end of each day. Truly a year-round spot from which to launch your Snowmass explorations. 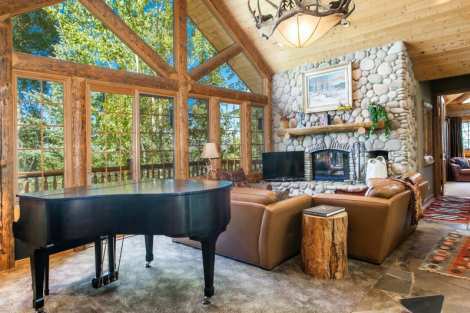 This Pine Ridge home is an entertainer’s paradise! This custom-built home leaves nothing to be desired. Enjoy a spacious open floor plan with five bedrooms and five and a half baths. The gourmet kitchen is nicely appointed with granite counters, high-end appliances and a wall full of windows that are sure to impress. The dining room seats ten guests, the living room boasts vaulted ceilings with floor to ceiling windows. The wrap around decks are the perfect spot for BBQ’s or star gazing. A private hot tub is ideal for relaxing at the end of each day. Enjoy the walk-out patio it’s the perfect spot to take in the beauty that surrounds you.